The IELTS Writing Tasks will present you with different challenges to test your skills in writing in English. Among these challenges are some that will be presented as graphs. Sometimes this will cause us to panic. But actually it is simple to deal with. All you need to do is look at each of the parts in the given graphs and describe one part at a time. Here we shall present you with 5 easy ways to begin your descriptions for those parts. I. The use of a number. You can begin writing about graphs by describing one part of the graph using a number. Here you can use the actual number given in the chart or you can use the percentage covered by the part you wish to describe. · 200 units of the ice cream sold weekly are blueberry flavored. · 400 of the ice cream cups sold in the school were vanilla flavored. · 600 units of chocolate flavoured ice cream were sold. · 50% of all ice cream sold were chocolate flavored. · 33% of the ice cream sales were the vanilla flavored option. 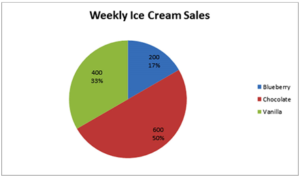 · 17% of the school’s ice cream cup sales represented those flavored blueberry. Based on this data, the school should order this flavor the least for the following weeks, as it does not seem as popular with students, as the chocolate flavored one. 3. The use of phrases that begin with the article “A”. · A small group shows to have taken interest in studying German, as well as, Spanish. · A minority is shown to represent those studying German, Spanish and French. · According to the Eurostat survey a very large number choose to study English. In fact, this number is larger than putting all the other top three languages together. One of the ways to begin your essay on a given chart is by using phrases that begin with the preposition “of”. · Of the survey conducted by Eurostat in 2015, English is the number one language studied in the world. 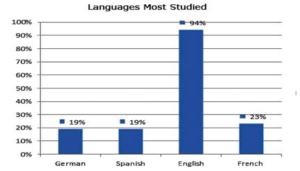 · Of the research made, people who studied English, at 94%, far outnumbered those who studied other languages, the next being only 23% which is French. · Of the data gathered, chocolate shows as the best-selling flavor in the school. · Of the totals derived, vanilla shows as the second most popular flavor to the students. · Of the total participants in the survey conducted by Eurostat in 2015, 94% study English. · Of all the languages in the world, the most popular is English. · Of the total number of ice cream cups sold, 400 of them were vanilla. · Of all the flavors of ice cream sold, chocolate is no doubt the best-seller. 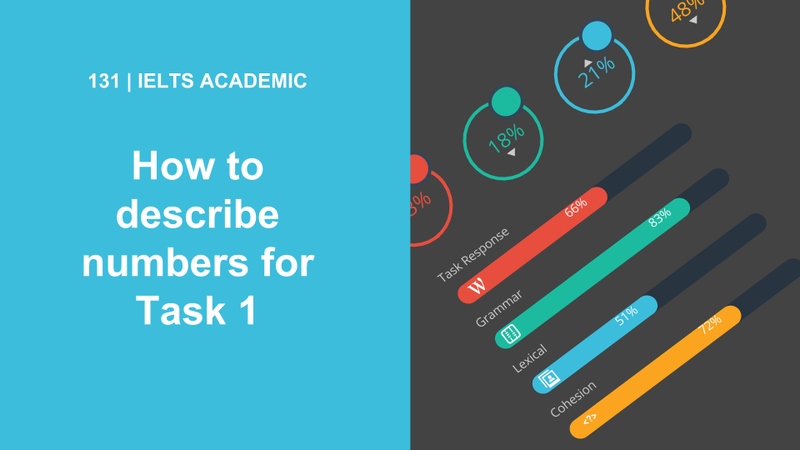 So there you have it, 5 great ways to begin your IELTS Writing Tasks on graphs. You need a little patience, in discussing charts. You don’t need to look at the graph and analyze it immediately, as a whole. You need to look at it in parts first, and use the 5 tips we mentioned here as your guide. Then later, you can move on to discussing the chart as a whole. But again, knowing the tips we gave will not be enough. You will need to practice as often as you can, daily if possible. If you do, you’ll find that these types of Writing Tasks won’t be such a challenge to you anymore.